even before he was a performer. 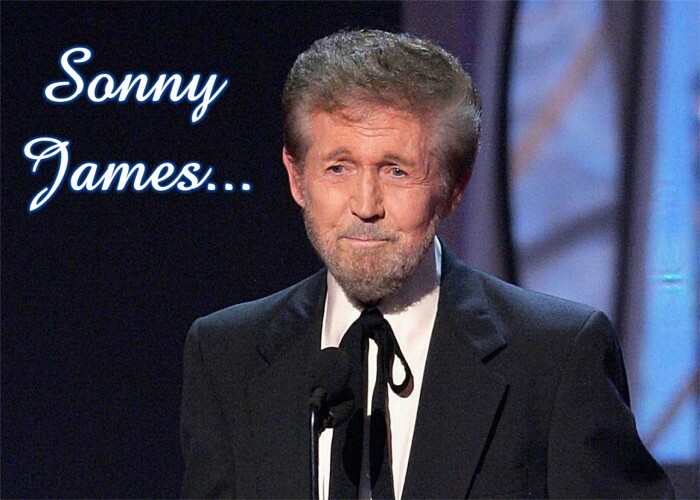 Like so many artists of his time, Sonny James' career takes up a huge portion in the history of country music. His list of accomplishments and accolades go from here to the moon and back, and we mean literally! He was born on May 1, 1928, to Archie Lee 'Pop' Loden and Della Burleson Loden and given the name James Hugh Loden. The Loden's operated a three hundred acre farm just outside Hackleburg, Alabama. Together, with three tenant families, they used teams of horses and mules to raise enough cotton, corn and hay to support each of the families. Being born in the heart of the depression, things were tough. The average household did not have electricity nor running water. Many families relied on coal-oil lamps to see and battery operated radios for entertainment. Many families would pass the time by playing various musical instruments. More often than it is reported, these instruments were hand made from materials found around the homestead. Sonny grew up around music as both of his parents were musicians. Pop could play the guitar and fiddle, but he preferred the five-string banjo. His mother enjoyed playing the guitar. Where as his sister Thelma, five years older than he, could play the guitar as soon as she could wrap her fingers around the neck. "I used to play the broom," shares Sonny during a previous interview. "That's when Pop decided, 'Well, I'll give him something that he can at least play around on.' That's when he cut the molasses bucket in half and used the bottom of it and put a neck on it and then reversed it. It became the top of a little banjo, but it was tuned like a mandolin. So, then I graduated to a mandolin and long about that time - I must have been about three or something - I began singing." The family would work hard on the farm all week. However, Saturday nights were spent with local musicians as they gathered at each other's homes to play music. During this time, the music industry was in it's infancy. Sure there were several record labels out there recording entertainers, however the heart of music was contained within the radio stations. Radio stations would often host various singing and performing contests to help bring in revenue by advertisers. Often times the prize or reward from the contests was money or the winner would get to play two weeks on one of the stations radio shows. Many of the shows on the radio, at the time, were live shows that featured local musicians. Every once in awhile, a station would play host to a well known performer. By 1933, the Lodens had developed into a family band that complimented each other well enough for Pop to arrange an audition with WMSD in Muscle Shoals, Alabama. The station manager was so impressed with the family's musical talents that he offered them a regular Saturday slot. This was the beginning of many shows for them. The Loden's played their own versions of some of the more notable songs that were often found on the radio at the time. However, their sound was not complete. In late 1933, Pop and Della volunteered to raise an Arkansas youngster who was about Sonny's age. Ruby Palmer rather enjoyed the family's music and was soon incorporated into the group. Her talents on the Bass as well as her talent to yodel added more music to the band. During their shows, Ruby and Thelma would often team up for duets. During one contest, the family met up with Kate Smith, a headliner at the time. "They would get a big artist to come in to headline the band contest, and Kate Smith happened to be that artist." tells James. "She saw us do our show - now this is what Pop and all of them had said - she kind of took a liking to us. She must've for some reason took a liking to me. She had me on her lap, gave me a silver dollar and said that some day I would have a bright future in the entertainment field." Kate's prediction proved right. The family continued to 'tour' from radio station to radio station performing their show. Times were tough and many people took a risk at trying to earn a living through music. The Loden's were in a position that they could take this risk, because they always had the farm to fall back on. All through his childhood and even into his teenage years, they continued to travel and entertain. Even though they traveled, schooling took priority. Sonny was even encouraged to get involved in sports. The family stopped performing shortly after Thelma and Ruby left to get married in a double ceremony. During Sonny's last year in high school, he joined the National Guard. Although the family played in several radio shows, school auditoriums and local theatres, it was not enough to generate any vast financial means. They returned home and eventually opened a family store. This line of work was not meant to be for James. On September 9, 1950, James' company was called up for active duty. He was part of the 252nd Truck Company from Hamilton, Alabama. It was the first National Guard unit to serve in Korea. James did not let his musical talents go to waste while in Korea. He spent his time honing his skills and began seriously working at his songwriting skills. Upon his return to the States, he looked up his former roommate, Chet Atkins. Chet introduced James to Ken Nelson, a well known producer for Capitol Records. "If you wanted to hang out with Sonny on a Sunday morning, you'd better be prepared to go to church with him. He rarely missed a service. And if you wanted to hear someone tell dirty jokes and curse up a blue streak, you did NOT hang out with Sonny." Sonny began recording various songs and touring with many artists. During his performances, he would play the guitar, fiddle and mandolin. In late 1956, James released "Young Love." The song would soon become his signature song as it was the first teenage country crossover single. This was the beginning to a career that would produce seventy-two country and pop charted releases from over forty albums that spanned through fifty years. Some of his more notable hits include "Lovesick Blues," "I Forgot More Than You'll Ever Know," "Apache," "The Minute You're Gone," "It's Just A Matter of Time," and "My Love." Some of his more notable accolades include being the first country recording artist to appear on The Ed Sullivan Show in 1957. In 1961, he was honored with a star on the Hollywood Walk of Fame. Six years later he would join Bobbi Gentry as the hosts of the first CMA Awards show. His favorite highlight of his career came in February 1971. James was the first country artist whose music went into space. Sonny created a special recording for the crew of Apollo 14. Later, the crew presented James with one of the small American flags that they had carried to the moon. This flag became James' most prized possession. Sonny has earned many awards and inductions throughout his career. 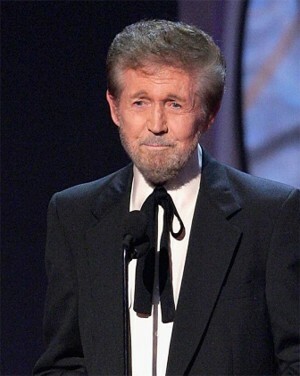 In May of 2007, he earned the highest honor as he was inducted into the Country Music Hall of Fame. In the spring of 1984, Sonny James retired to lead a very private life with his wife. James passed away on February 22, 2016. Although his list of accomplishments reads like a page from country music history, he always lived up to his title as "The Southern Gentleman." From his humble beginnings in the family band, all the way to his retirement and beyond, he truly was an entertainer. Kate Smith's prediction came true as she gave him that silver dollar so many years ago.